After long preparations and many discussions about all kinds of questions regarding design, structure and content, ProjectCrunch finally goes online! With ProjectCrunch we want to create an exciting magazine that will appeal to our target audience: project managers, IT executives and management consultants, who all share the same passion: the leadership and the management of information technology. While various media offerings in this area already exist, we believe that time has come for a lean, interesting and comprehensive web content that targets managers and experts who have little time for lengthy and complex stories. We will make things short and interesting – simply worthwhile. For that reason, we did not intend to create a full-blown online magazine. However, we did not want to create just another blog page. We decided to be flexible (or: agile, if you like). We will publish both small articles and pieces of compressed information for quick reading, but we also will sometimes offer longer (but not too long) articles on interesting issues. “ProjectCrunch” is supposed to facilitate the nature of this magazine’s content. We mix a lot of interesting information and try to “crush” and “crunch” them into smaller bites. The topics are a cross section of what our interest group is concerned about: project management, process improvement (CMMI, SPICE, agile methods, ITIL, etc. ), but also information technology in general (i.e. new smart phones and other innovations, such as programming languages and middleware), especially under the particular aspect of their future prospects and their (potential) value added. In a sense, ProjectCrunch replaces our old page, Consulting Times, which has gone offline simultaneously with the activation of ProjectCrunch. Consulting Times articles have been moved to ProjectCrunch and remain available. Last but not least, taking the globalized nature of our readership into account, ProjectCrunch is offered in two versions: English (ProjectCrunch.com) and German (ProjectCrunch.de). However, we have decided not to pursue a strictly bilingual strategy. Some articles will appear in both editions (as a direct translation), but ProjectCrunch.de ProjectCrunch.com and are otherwise independent. 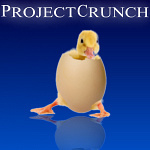 ProjectCrunch is now officially unveiled. See you in the next article!